Samsung officially announced the rumored Galaxy S4 Zoom in a press release today, confirming the specs we’ve been hearing for weeks. The smartphone-camera hybrid features a 16-megapixel camera and is the first handset to offer 10x optical zoom. 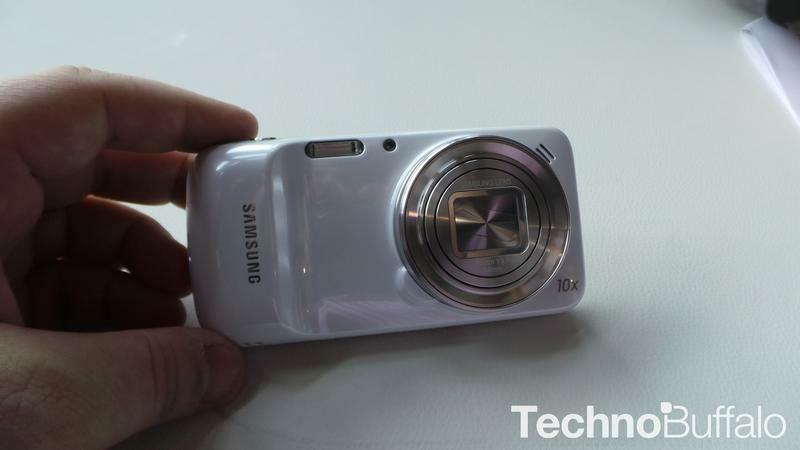 Samsung’s press release does not reveal when the Galaxy S4 Zoom will be released. Photos of the Galaxy S4 Zoom released today by Samsung depict a scaled down S4 on one side sporting a 4.3-inch screen, while the back of the device holds a powerful digital camera with an extending lens that serves as the handset’s namesake. The Zoom, reminiscent of the 16MP Galaxy Camera, is the company’s attempt to target photography enthusiasts who care more about picture quality than smartphone specs. Although Samsung promises “a single device that can fulfil the role of both an industry leading smartphone and a high-end compact camera,” the device offers scaled down specs compared the the regular S4, including a 1.5GHz dual-core processor, 8GB of memory, and a smaller screen with a resolution of 960 x 540 pixels. Like the S4, the Zoom runs on the latest Android 4.2 Jelly Bean OS and is upgradable to 64GB of memory storage via microSD slot. The Galaxy S4 is the latest in a steady series of smartphones to be announced by Samsung, following the Galaxy Ace 3 just yesterday and the Galaxy S4 Active and Mini in the past few weeks. The company has organized a press conference for June 20 in London, but it is now unclear if it will use the opportunity to unveil another new device or simply discuss its latest offerings. 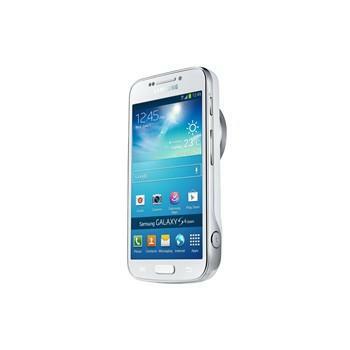 LONDON, UK – June 12, 2013 – Samsung Electronics Co., Ltd. today announced the launch of the Samsung GALAXY S4 zoom, a powerful new device which combines the stylish heritage of the latest GALAXY S4 smartphone with advanced photographic capabilities. The GALAXY S4 zoom’s heritage is evident throughout, from its sleek and stylish design to the powerful, yet intuitive user interface. Running on Android Jelly Bean 4.2, the GALAXY S4 zoom boasts many of the same features as the recently launched GALAXY S4, includingTouchwiz, which lets you fully customize various aspects of your device including the lock screen and notification bar, for a truly personal mobile experience.